At first, glance, starting a real estate investing career may look too overwhelming. Investment strategies such as wholesaling and rehabbing, property types like single-family, multifamily and commercial may sound Greek to a beginner. However, if done properly, investing in real estate can be very lucrative for those who are diligent and can make smart investments. So for those who want to dive into investing in real estate, there is a bunch of newbie investment options appropriate for you. So, first things first: when you want to start a career in real estate, you have to recognize that real estate investment is a business. It is different from stocks and bonds because your business will depend largely on your desire and motivation to reach your goals. As you start, you don’t really need to know every in and out of the business. However, it is extremely necessary to begin the process with a target market niche and a plan of approach in mind. Whether you’re just starting or seasoned in the business, young or old, male or female, the real estate market is a rich business arena for real estate investors. However, it is always advantageous to come in already with a strategic plan so you can accomplish your goal easier. A real estate business plan and a real estate marketing strategy should be on top of your ‘to do’ list when investing in real estate as a beginner. These two elements will provide you with a clear definition of your specific goals, a roadmap to achieve them and also a system of keeping the business running. Decide on the type of investment strategy you want to pursue. For example, do you want a traditional route or a current trend like Airbnb? Determine the amount of time and money you want to spend on your investment strategy and rental scheme. Specify your budget. For fund investors, we may be looking at around $1,000 to $5,000 but for a direct real estate investor, you’d need about $50,000 minimum. Select your investment strategy according to your schedule and financial resources. If you’re heading towards the direction of REIT investing, you’ll need less time and money compared to direct real estate investing. Set aside some money for investment related expenses because whether you like it or not, they will come. If you were investing in the stock market, you would have to have sufficient knowledge about things like trading stocks, options, and algorithms. As a real estate investor, you do not need to have such technical knowledge. But, don’t use that as an excuse to forego doing your own research. You may not need to know the science behind the market, but you do need to know what forces cause it to move. Keep yourself informed by reading real estate news and monitor property and related stock values. You also need to look deeper into properties as well, such as getting familiar with the location’s neighborhood and their backgrounds. This information could be useful for you to negotiate good deals. Before you let go of your cash to buy your first property or even just to write down your step-by-step plan, be certain of what you expect from your venture. Ask yourself: what are my financial goals? People would be quick to point out the “time vs. money” concept in reaching your goals. They say that the more you have of one, the less you need the other. This only cautions you not to shy away from spending the time to understand your goals and align each investment toward achieving them. If you are not sure how to define your financial goals, seek help from a financial advisor. 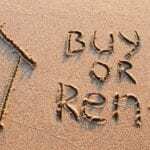 Investing in real estate and investing in the stock market has at least one thing in common: you’re always looking for the best deal. Obviously, a discerning stock market investor wouldn’t buy stocks while their prices are high if he is planning on holding them for a while. Instead, he will likely follow the Warren Buffet principle of getting greedy when everyone else gets fearful. He’ll buy stocks that are beaten down and make a killing when they turn around. The same principle applies to real estate investing. Try not paying the full price when buying properties. Look for so-called wholesale properties whose prices come with insane discounts. Of course, they will absolutely need some work. Do the math and see if your investment in rehab is worth the final selling price. You don’t really have to go out and buy a 50-apartment complex or a newly-built grand warehouse. Also, you will be better off starting small. Get hold of a single condominium or a house and wet your feet learning how to be a landlord. You may discover that you’re a natural and go on to make more real estate purchases over the years. On the other hand, if you find out that it’s too stressful for you, at least you’ve only made one single, small investment. When you talk about the subject of financing in real estate investing, the most common option would have to be conventional bank loans. However, other avenues such as hard money loans, owner financing, and real estate syndication are also available. We suggest that you use them to your advantage – you don’t have to miss out on real estate investing opportunities because of lack of financing. Remember to set a budget for buying an investment property and try your very best to stick to it. Aside from a normal budget, astute real estate investors provide a budget for any unforeseen expenses or emergency repairs that may suddenly crop up. Most real estate investors prefer direct ownership when it comes to investing in property. They buy the building so it becomes fully theirs – after which, you can rent it or sell it profitably. It may sound simple but in reality, doing so requires a lot of work and it’s a big responsibility. Generally, most new real estate investors do not have the capability to flip properties on the market. And those that chose to lease or rent will also have to work out their huge legal responsibilities. If you think you are not ready for this demanding level of commitment, investing in a REIT would be for you. With a REIT, you’ll be buying shares in different properties owned by other people. Needless to say, you won’t have to worry about maintenance costs, legal fees and other matters that property owners must worry about. So, for real estate investors who are just venturing out in the field, a REIT is a very viable option for them. As a form of incentive, the government offers material tax benefits to real estate investors. Probably the most significant of them is the depreciation write-off. Any time you buy an investment property that includes a building or structure, you’ll have the right to write off the depreciation of that building as a tax deduction. Please consult your tax advisor for the details but basically, you can depreciate a building for over 27 years. For a commercial building, it’s even longer at 39 and one-half years. The IRS will also consider your real estate investment efforts as a business so that means you can claim the “necessary and ordinary” deductions that business owners claim. This will include mortgage interest, insurance, and repairs & maintenance expenses. Again, your tax advisor can give you a better angle on how to go about it. Stop daydreaming and buckle down to work on your numbers. Look at the different scenarios and see which one makes the most rational financial sense. For example, never buy property at a higher price or less attractive terms than what your practical analysis says. Some sellers will over-estimate the value of their properties through pro forma (estimated) data: don’t fall for their tricks. A pro forma computation may be a good starting ground but always know the real numbers before you close. Check the documents – previous years’ tax returns, property tax assessments, maintenance records, etc – and get a better idea of the actual income and expenses. In each item above, ‘investment’ always refer to how much you’ve put into the property. ‘Debt financing’ refers to any loan you may have to get in order to buy the property. “Total return’ means the cash flow, equity accrual (the value you gained from your tenants as they pay their rents), value appreciation and taxes. After you’ve sufficiently understood these figures and what they represent, you should be able to determine whether or not purchasing the property fits with your financial goals. When you are already rolling along the real estate industry avenues, give importance to the people you will come across with. The real estate agents (See how to find a good agent) other real estate investors, contractors, bankers, etc. can help you in the future, you never know. Turn the quick interactions with them an opportunity to build a real estate network. Make a good impression, exchange contact details and try to keep in touch with them. A real estate network can be your ace in the hole as you grow your business – many successful investors can attest to this. Here’s a word of caution: pick your network carefully because you don’t want to end up working with the wrong set of people. Learn everything you can about the people you encounter in the business. This is important because they might directly affect the success of an income property. It’s easy to get caught up with appearances and think something is perfect for what you need. This is the same with real estate. You may fall in love with a piece of property and decide to purchase it without doing a careful study. Do not commit to anything because of your emotions. First of all, make sure that you do an analysis of its value. Check the numbers and project how it could perform based on your plans. Making a buying decision because you love the property so much can blind you to paying a higher price. Obviously, it will be very difficult to make a profit out of it later. Stick to your numerical analysis when buying real estate. ← Where Can You Get a Personal Loan?